Mike Giubbini walks into the tasting room. He’s an affable guy with a big grin. He tells me that if you want to make and sell wine, among all the necessary things, you need to have a story. So the day begins…. Rotta Winery certainly has a story, and a legacy of winemaking that has been in the same family for over 100 years. Aside from the obvious historical artifacts lining the shelves and walls, bottles, awards, and articles, the tasting room is partly constructed of recycled wood from the original 1900’s winery. The original vineyard and winery actually dates from 1856, being sold in 1908 to Mike’s great uncle, and then in 1928 to Mike’s Grandfather. Rotta “jug wine” dating back to the middle of the last century, is proudly displayed in a case that faces you as you enter the tasting room. The Wall of Fame to the right includes a one-page schematic of the winery “from way back when” and a wedding picture of Grandma and Grandpa Rotta, dated 1928. Touring the barrel room, vineyards, and property, you cannot help but be awed by the vineyards. Some of the head trained vines are as old as 50 or more years and require an immense amount of labor. Mike’s love and passion of the grapes, the land and the wine is infectious, and quite obvious. A retired firefighter and 3rd generation winemaker, Mike has two more generations to eventually take over the “family business.” His son (also a firefighter) and daughter, whom he has wisely counseled to first, “secure your pension” and then “retire” to work full time at what you love: growing grapes and making wine. He has five grandchildren. His nine-year-old granddaughter is already tasting and loving what comes from the earth; Mike figures that she will be the 5th generation to make wine at Rotta. After the tour we head to the patio to chat and sip. 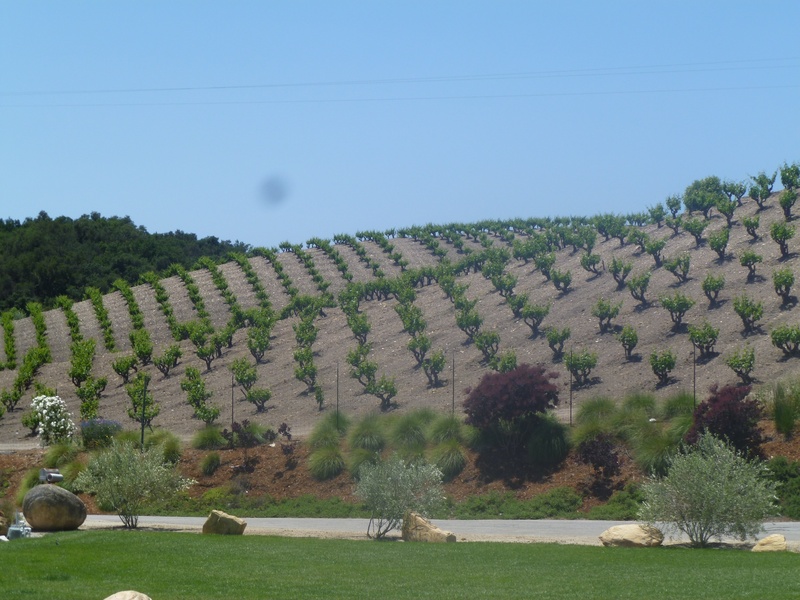 Rotta Winery produces a varied lineup of wines. We started with a 2010 Vermentino, a perfect white wine to sip on a warm spring (or summer) day, with the wind blowing through the Templeton Gap – it was heavenly. Mike then took us on a savory tour, from light, summery whites and a Zinfandel Rose, through his assortment of reds. The reds were mostly different Bordeaux, both blends and single varietals, including a Primitivo. Rotta has something for every taste and palate. Finally, being relaxed and sated, Mike brings out his prize: Black Monukka Dessert Wine. With a sly grin on his face, Mike describes this one of a kind wine (no, you won’t find this elsewhere). It’s a dessert sherry, but put aside what you think of when you think of a typical sherry. THIS wine is not what you would expect! When you sniff this in the glass, you instantly think you are sniffing a subtle brandy, yet when you taste it, its caramel, butterscotch and liquid crème brulee that melts in your mouth. You will find it impossible to keep this for a day or two…it just keeps calling your name. 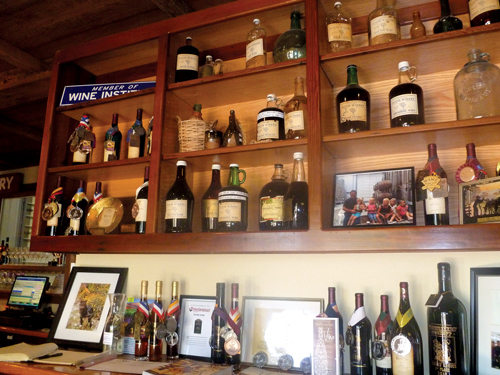 Steeped in history, Rotta is a century-old, small family winery in Paso Robles. The love and passion of three generations being bottled should continue, for several more to follow. 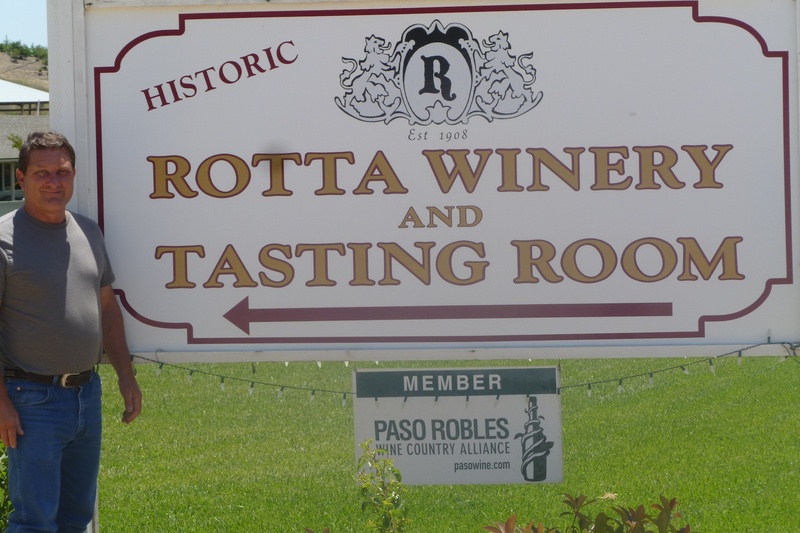 Rotta is as much of Paso Robles history as it is the history of Mike’s family. Rotta Winery is located at 250 Winery Road in Templeton. For more information, call (805) 237-0510 or visit rottawinery.com. They are also on Facebook and Twitter. Don Sonderling and his wife Lynn have been visiting Paso Robles for 12 years. Though they reside in Southern California, they are regulars on the Paso wine scene and have a great love for the Central Coast. To follow his adventures more closely, visit Don’s blog, Winer’s Delight.